Say brothers, do you remember the first time you called a girl for a date? You picked up the phone to call, but before you could dial the number, a thousand butterflies took flight inside your gut. You decided to count to three and then dial, but your mind couldn’t get beyond the number two. Did you make that phone call or did you bail at the last second? Did you let your fear of the word "no" stop you from even trying? No one wants to be REJECTED. The potential for rejection is real and comes in many forms. In sales, they could turn down your product. In sports, you might get cut from the team. In the committee meeting, they might reject your presentation. In a marriage, your spouse might tell you they want a divorce. If you’re a Christian, people may tell you they aren’t interested in hearing about your faith. The possibilities are endless, and however it happens, rejection hurts. It is easier to face rejection when you expect rejection. For example, when you know you look different than everybody else and they don’t know you, you expect some rejection. So if they reject you, you are not surprised. It doesn’t hurt as much since there is no relationship involved. What really hurts is when a person you know and love rejects you in some manner. You don’t expect it, and so it really wounds you when it happens. Every one of us has had that experience at some time in our lives. In one way or another - someone we loved; someone we worked with; someone we worked for; someone that taught us; someone we went to church with; someone that we cared about - rejected us. In some form or fashion, all of us have experienced rejection and felt the effects that it brings. When we experience rejection, we feel as if our hearts have been taken out of our bodies, torn to pieces, and trampled upon. Some people have been able to bounce back from rejection and carry on with their lives as if nothing ever happened. Then there are some that have remained emotionally scarred for life. More than that, the effects of rejection can affect generations long after the initial rejection took place. For example, African Americans still feel the effects of being rejected as equal human beings and forced to be slaves; Jews still feel the effects of rejection by being considered less than human and slaughtered during the Holocaust. Native Americans still feel the effects of rejection by being considered savages, driven from their land, and put on reservations. Vengefully, the rejected turn around and reject others, especially those associated with the group that rejected them! And so, the rejection cycle continues and the world still suffers the effects of age-old rejection. Try as we might to avoid it, rejection is a part of life that affects each of us at some point, and it’s not limited to only one instance. Therefore, we often build walls around us, trying to protect ourselves from feeling such pain again. However, while building these walls, we stumble into one or several of the pitfalls that are associated with rejection. 1. If we have an unbiblical concept of what is supposed to be, we imagine rejection. For example, we may believe that it is God’s desire for us to be happy, but our concept of happiness is unbiblical. We may think that happiness is living in a fine home, driving an expensive car, having prestige and power, and never having the devil on our backs. However, the truth is found in Psalm 34:19 A righteous man may have many troubles, but the LORD delivers him from them all. If our concept of happiness is unbiblical, if things aren’t going a certain way, we feel as though God has rejected us, because He is not operating according to our expectations. Likewise, when people don’t operate according to our expectations, we imagine they are rejecting us. If our concepts are not corrected, we are in danger of falling into the next pitfall of rejection. 2. We get angry, and we get angry with God. Once we are angry with God, we begin to rebel against God. Because we now have this mindset of rejection upon us, we do not follow His commandments. We quit talking to God and reading His Word. We become our own god, but being our own god does not satisfy us, so we fall into the next pitfall of rejection. 3. We begin to complain and find fault with everything and everyone. So we reject God, people, and the society we live in. We show our rejection by dressing and acting anti-socially. This behavior sets us up for more rejection. We are in a downward spiral of negativity and don’t realize it. 4. At this point, if we don’t repent, we may find ourselves in a very dangerous pitfall of discouragement. We begin to feel like everything that is happening to us is because no one cares; God doesn’t care; so why should I care. When we become discouraged, one of the first things that we lose is patience. When we lose our patience, we lose our endurance, and we have just opened a door for the devil to come in and take control. The devil begins to talk to us and tries to take control of our mind. If he can convince us that that no one cares, especially God, then he can cause us to literally lose our mind, or even to take our life. Discouragement is the pitfall in which demon possession, murder, and suicide take place. Luke 21:19 By standing firm you will gain life. 5. If we avoid the pitfall of discouragement, there is another pitfall of doubt. In this pit, we doubt that we will ever get out of this situation. We think God has rejected us and left us alone. After 400 years of slavery, the people of Israel were doubtful of ever entering the Promise Land again. Even before Moses led them out of Egypt, they saw the miraculous handiwork of God. They witnessed the plagues that befell the Egyptians and how they were protected and spared by the lamb’s blood. They witnessed the Red Sea open for them and close on Pharaoh’s army. Still, they doubted that God was with them every time they faced a difficulty! As a result, they wandered in the wilderness for 40 years, but God kept their clothes and shoes from wearing out. When we fall into this pitfall of rejection called doubt, we become like the people of Israel. After all that God has done for us in our life, we still doubt Him and believe He has rejected us. As a result, we wander through life without accomplishing God’s will for our lives. 6. If we are overcome by rejection, another pitfall is fear, or fear of rejection. In this pit, we develop a phobia about ourselves. We begin to think there is a problem with us and we expect everyone sees this problem. So to avoid embarrassment and more rejection, we become afraid to be around people. We refuse to go out into society and develop close relationships, because we are afraid of being rejected and hurt again. In the spiritual, when we fall into the pitfall of fear, we become afraid of stepping out on faith and believing in God. The people of Israel felt inferior to the inhabitants of the land. This fear kept them from of going over and possessing the land because they feared God would reject them and allow them to perish if they tried. This fear of rejection is not from God. God has not given us the spirit of fear but of power. Power for what? Power to overcome the devil and not be afraid to step out on faith in God and take back what the enemy has taken from us. When we fall into the pitfall of fear, we become afraid of believing just who God is and what He has for us. 7. Another pitfall of rejection is hopelessness. Without hope, we have no foundation for faith. Faith is being sure of things hoped for. 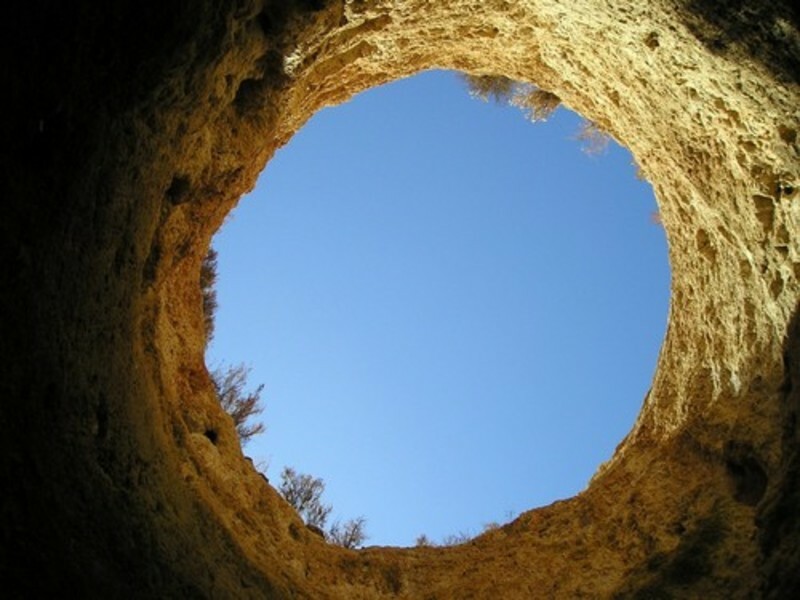 When we are rejected and fall into this pit, we basically give up on life. We feel that there is nothing for us and all our dreams and aspiration in life are gone. We give up on ourselves and others. We believe that no one cares and that God doesn’t listen. It is in this pit we find many homeless people, because they have been rejected and lost hope. 8. Rejection is the worst pain the human spirit can suffer. It is at the root of many emotional problems. Rejection can cause us to fall into the pit of self-rejection. In this pitfall, a demonic spirit tells us that we are not wanted, not loved, not appreciated, not good enough. We hate the way we look and who we are. This may start in childhood. We believe Satan’s lies and it makes us strive to earn our acceptance. It makes us feel driven to perform in order to be approved. Self-rejection makes us feel we are loved for what we do rather than for who we are, because we have rejected the idea that we are loveable as a person. The sad thing is that no amount of achievement is ever enough to satisfy this lying spirit. The devil inflames insecurities and fears. This demon seeks to undermine the Christian’s true standing before God as a saved, cleansed, redeemed child of God. He does this by deceiving the believer regarding God’s love, the atoning work of the cross, and our righteousness before God. In this pit, we always feel unloved because we believe we are unworthy of love. 9. The 9th pitfall of rejection is the most endless of all; that is, we miss our inheritance. When the children of Israel were promised a land flowing with milk and honey, God intended for them to inherit it. However, because of their feeling of rejection and the pitfalls they fell into, no one over the age of 21 years, except Joshua and Caleb, entered into the Promised Land. Likewise, the pitfalls of rejection will cause us to miss out on the blessings that God has for us. However, Jesus is able to get us out of the pitfalls of rejection and take us to our inheritance. Therefore, if you are in a pitfall of rejection, look up and see Jesus, and follow Him. Jude 1:24-25 To him who is able to keep you from falling and to present you before his glorious presence without fault and with great joy--to the only God our Savior be glory, majesty, power and authority, through Jesus Christ our Lord, before all ages, now and forevermore! Amen. Jesus died on the cross so we may inherit all that belongs to Him. Don’t let rejection cause you to reject Jesus and miss your inheritance. After all, Jesus is and was rejected. He is the best example for avoiding the pitfalls of rejection. Isaiah 53:3 He was despised and rejected by men, a man of sorrows, and familiar with suffering. Like one from whom men hide their faces he was despised, and we esteemed him not. Jesus came to give everyone salvation and everlasting life. However, we reject Him when we do not accept Him as Lord of our lives. And, we reject Him when we do not keep His commandments. Still, He loves us and deals mercifully with us, in spite of how often we reject Him. Although, Jesus was and still is rejected more than anyone, He never falls into a pitfall of rejection. If we follow Him, we can stay out of the pitfalls, too. Hebrews 4:15-16 For we do not have a high priest who is unable to sympathize with our weaknesses, but we have one who has been tempted in every way, just as we are--yet was without sin. Let us then approach the throne of grace with confidence, so that we may receive mercy and find grace to help us in our time of need. Jesus understands our feelings. He is touched by our pain and is ready to heal us. When we are rejected, we can go to the throne of God for grace to be healed and for strength. That is what Jesus did. By focusing on Jesus, we can stay out of the pitfalls of rejection. Put your faith and confidence in Him. 1. Remember that Christ knows how it feels to be rejected. He came to that which was His own, but His own did not receive him. a. He was rejected by His nation. The leaders of the Jews rejected Him. b. He was rejected by His town. They tried to stone Him. c. He was rejected by His family, for they said, “He is out of his mind”. Even his own brothers did not believe in Him at first. d. He was rejected by His friends. Judas betrayed Him; Peter denied Him; others deserted Him. e. He is rejected by most people today. Christ experienced one rejection after another. He knows how it feels to be rejected. Therefore, come to Him. He is able to help us when we are rejected. 2. Remember that Christ warned that we would be rejected for following Him. When we are rejected for living for Jesus, it’s really Jesus who is being rejected. He said we are blessed. Luke 6:22-23 Blessed are you when men hate you, when they exclude you and insult you and reject your name as evil, because of the Son of Man. Rejoice in that day and leap for joy, because great is your reward in heaven. For that is how their fathers treated the prophets. Therefore, expect rejection from man. You will be less shocked and hurt when rejection occurs. Make God the only person you have to please. Then you won’t reject others. He will give you grace to love your enemies, those who reject you. 3. Remember that Christ promised never to reject us. John 6:37 All that the Father gives me will come to me, and whoever comes to me I will never drive away. Rom. 8:38-39 For I am convinced that neither death nor life, neither angels nor demons, neither the present nor the future, nor any powers, neither height nor depth, nor anything else in all creation, will be able to separate us from the love of God that is in Christ Jesus our Lord. You will be rejected on earth, but you are accepted by God and will be accepted in Heaven. The reason why many of us are crippled by a fear of rejection is because we care more about what people think than what God thinks. We need to repent of this fear. It is not from God. 4. Remember Christ receives people who are rejected by others. When you come to Christ, you will always find acceptance. You will never find rejection, no matter how greatly you have sinned. He invites you to come to Him today, just as you are. Believe and confess that Jesus is the Christ, the Son of God, who died on a cross to atone for your sin. Repent of your sin. Then follow Him in water baptism, dying to your old self and being born again of the Holy Spirit. You will be accepted in the “beloved” of God.